Second year Stingers men’s hockey forward Anthony Beauregard has signed a contract with the Laval Rocket of the American Hockey League. The Laval Rocket—the Montreal Canadiens AHL affiliate team—announced on their Twitter account this afternoon that Beauregard will be signed to an amateur tryout contract with the team. These types of contracts are designed for players who are leaving college hockey and are looking to turn professional. Laval Rocket announced that forwards Anthony Beauregard (Concordia University) et Nikita Korostelev (Peterborough – OHL) were signed to amateur tryout contracts with the team. 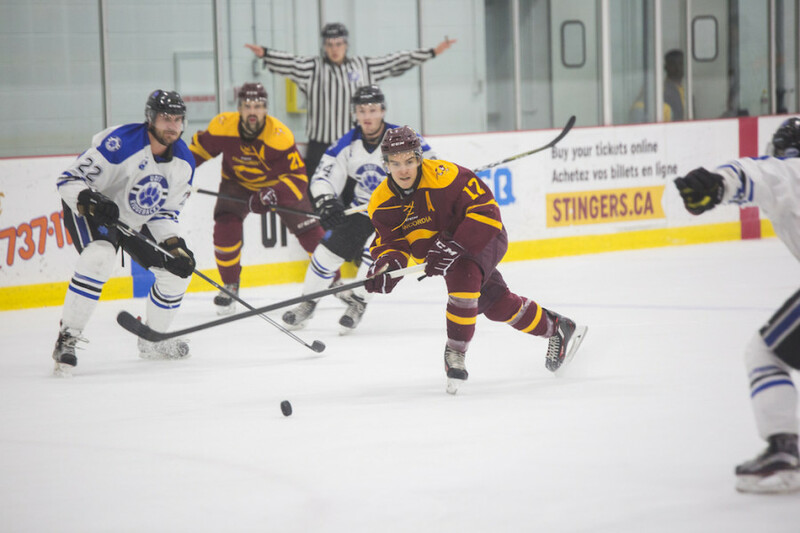 Beauregard had a breakout season this year for the Stingers, leading all U Sports players with 60 points (19 goals and 41 assists) in 28 games. He became the first Stinger to pass the 50 point plateau for the maroon and Gold since Mark Mahon scored 64 points in the 1989-90 season. The forward also helped the Stingers reach the U Sports national championships for the first time in 34 years. The Saint-Damase native’s efforts on the ice were rewarded after being named Ontario University Athletics east division’s most valuable player and U Sports most outstanding player—the first Stingers player to win the award since Jim Corsi in 1976—along with being named in the league’s first all-star team.